I'm sorry I am late getting this up! 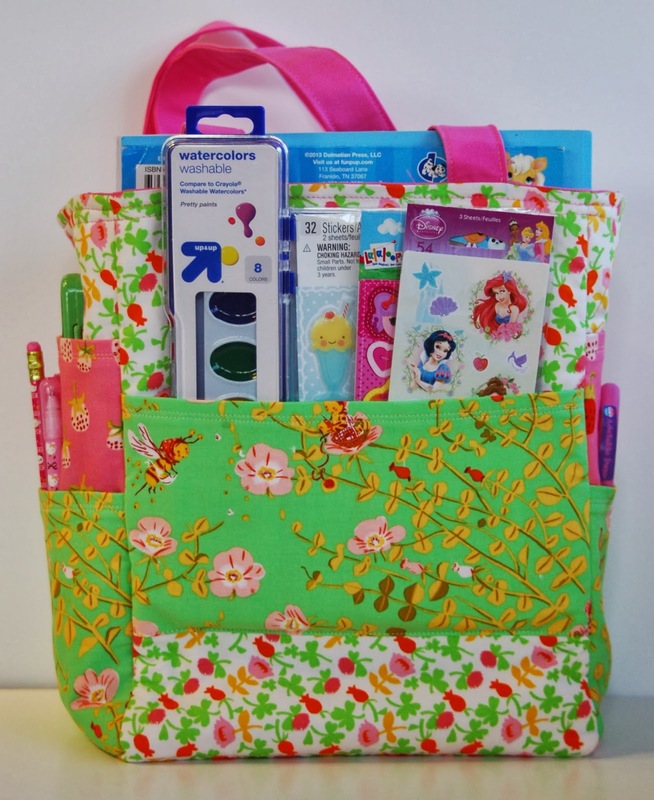 Thanks so much to all of you that visited and entered the giveaway for a copy of Virginia's amazing art tote pattern! 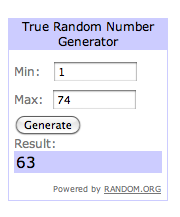 The winner is .... Pam!!! I am emailing you right now Pam and will be sending your info to Virginia! I hope you love the pattern!! If you didn't win but would still like to make one of these adorable totes, please head over to Gingercake and grab a pattern! All of her patterns are fabulous and make great gifts!!! 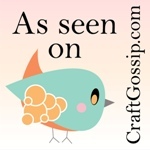 I'm so thrilled to be a part of such a fun sewing series! I have been friends with Virginia of Gingercake Patterns for several years now and have always LOVED sewing her patterns! So, when she asked me to participate in this fun event it was a very easy YES! At first I thought I would choose my old stand by, the crayon art folio! I have probably made close to 100 of them and can make them in my sleep. They always make a fabulous gift and are easily adaptable. 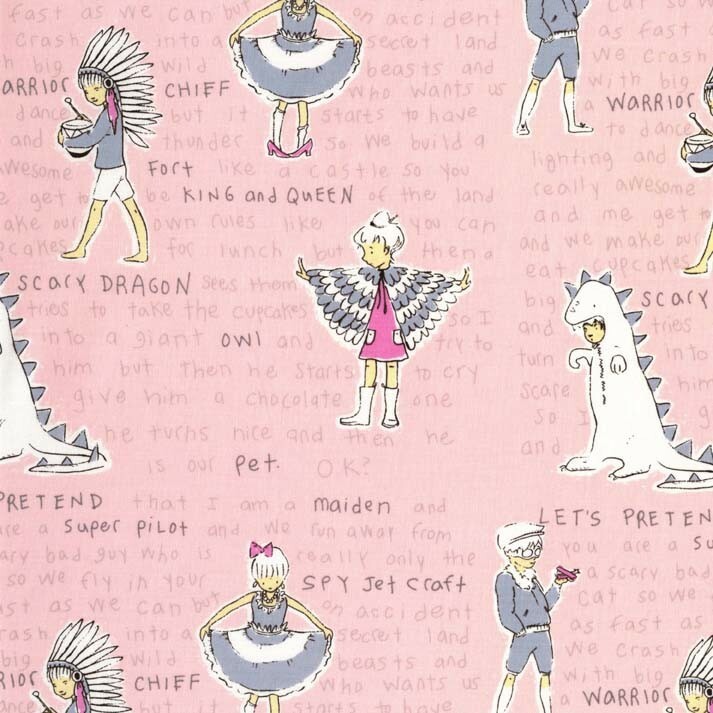 But then I remembered a pattern that I had bought from Virginia's shop a good 3 or 4 years ago and have never made. How can that be??? Well, I have to admit that I found it slightly intimidating with all of the stiff interfacing. I have made lots of bags and they aren't hard at all and I know Virginia's patterns and none of them are tricky or difficult, she gives great instructions. So I said to myself, stop being such a weenie! 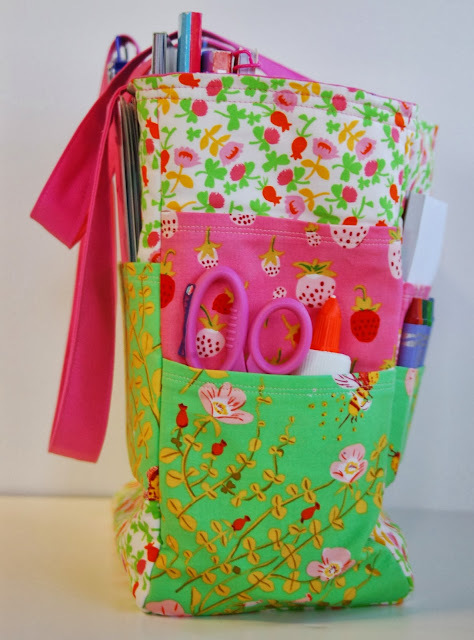 So, I tackled the art caddy tote! 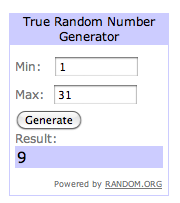 First, I have to admit that I cheated a little. I did not use the stiff interfacing that is recommended in the pattern. I omitted it for the simple reason that I have little girls that like to make messes and I knew that the tote would need to be washed at some point. I also lengthened the straps a little so that I could carry it on my shoulder because, lets be honest, moms are the pack mules of every family. Otherwise, I followed the directions. Let me tell you that this tote is AWESOME!!! The tote is sturdy and goes together relatively quickly. The instructions and pictures were clear and perfectly explained. 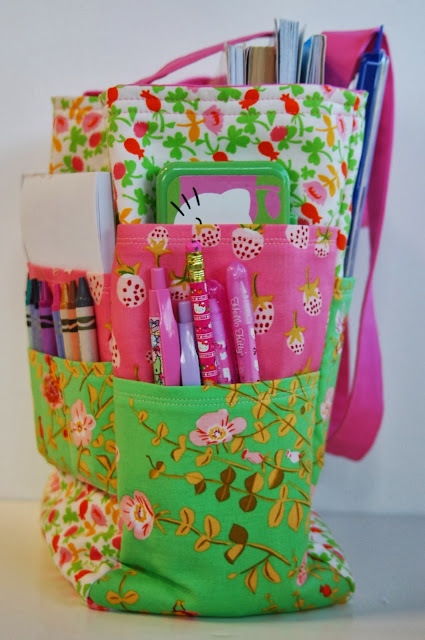 The pockets are very well thought out and sized just right for all of the goodies any little artist could possibly need. There is no need for the pattern to intimidate anyone!!! I put SO many supplies in our tote for the pictures and it wasn't anywhere near full. Even without the stiff interfacing the bag stood up nicely and held it's shape (there is a layer of cotton batting in there so that obviously helps). 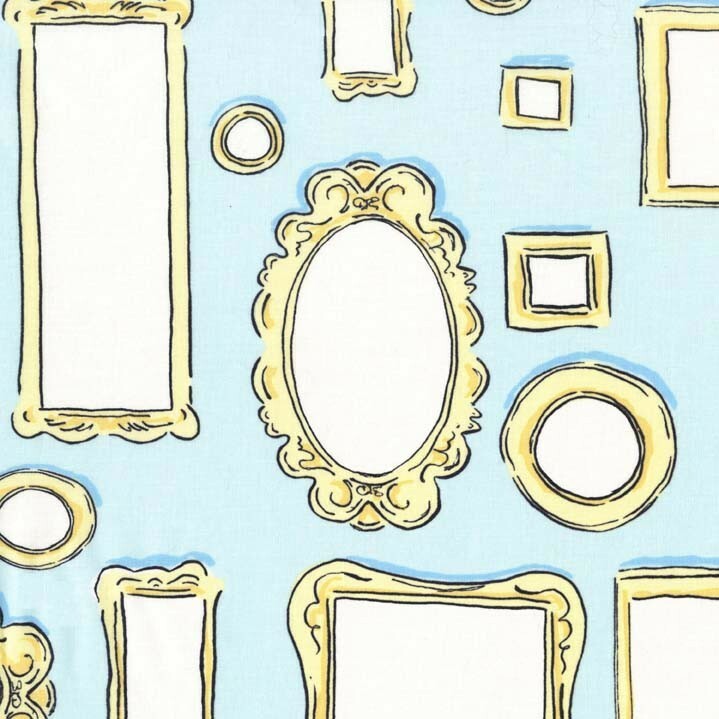 I think this would not only make a great kid gift but would be fabulous for art teachers! 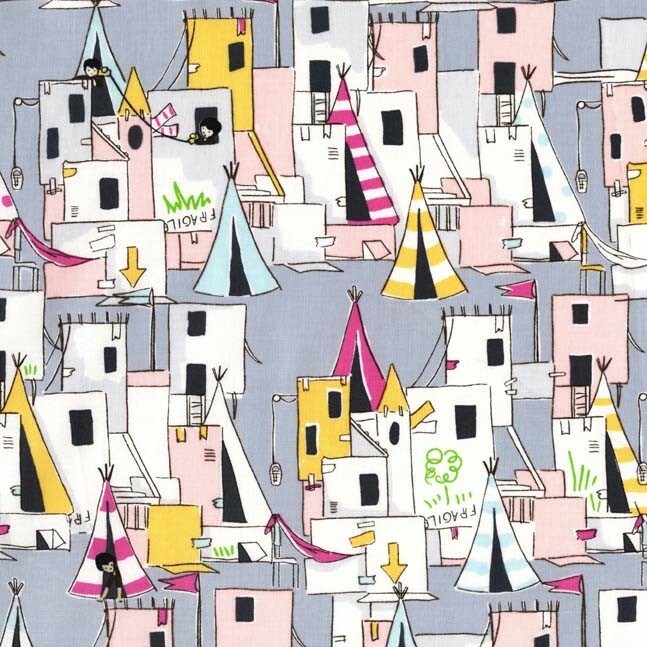 Can you imagine how great this would look in some of the new Anna Maria Horner fabric or some awesome Melody Miller? The art teacher at your school would love you forever! The amazing Virginia has offered a copy of the art student tote pattern to one of my fabulous readers!! Woo hoo! If you would like a chance to have this pattern please leave me a comment on this post telling me who you would make the tote for and which fabrics you would use. 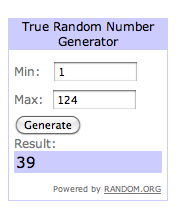 I will choose a winner with the random number generator next monday (Dec. 2nd). 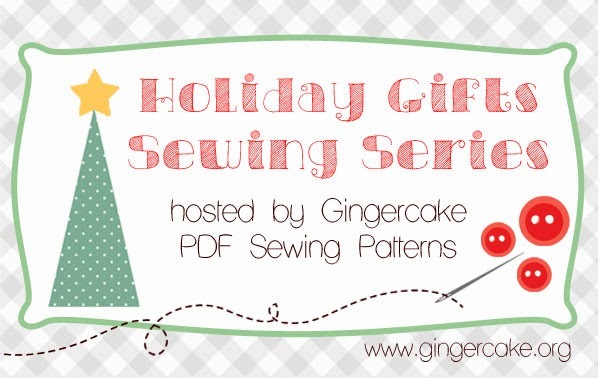 Don't forget to visit Gingercake to see all of the awesome creations from the Holiday Gift Sewing Series! 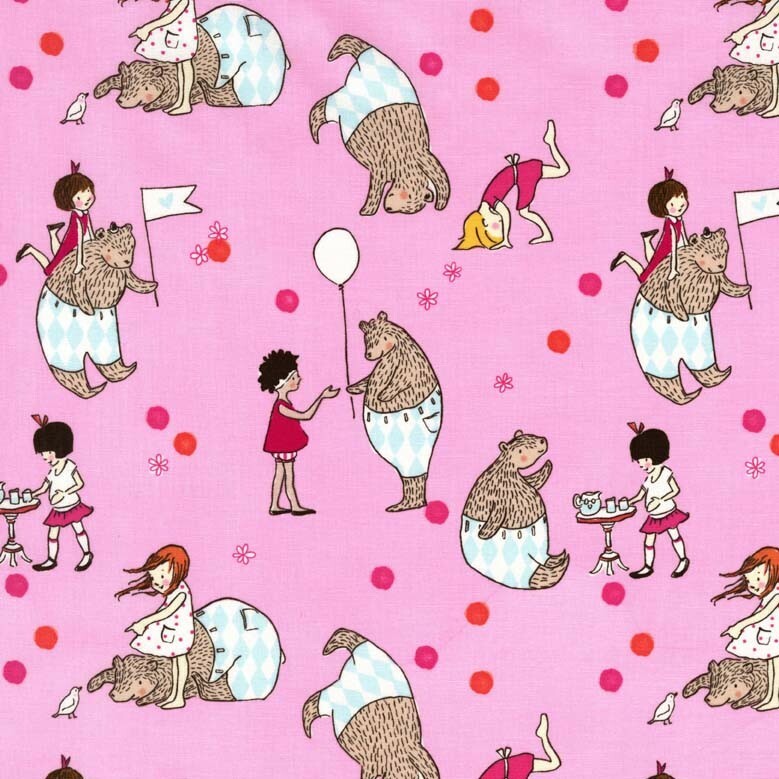 Fabrics used for my tote are from Briar Rose by Heather Ross and are available in my shop. the pattern links are all fixed!!!!!!! Oh, and we moved! Hello my lovelies!!! I am so very sorry that I disappeared for so long! We had our little house in Massachusetts on the market for a year and it finally sold! Then, we moved here!!!! 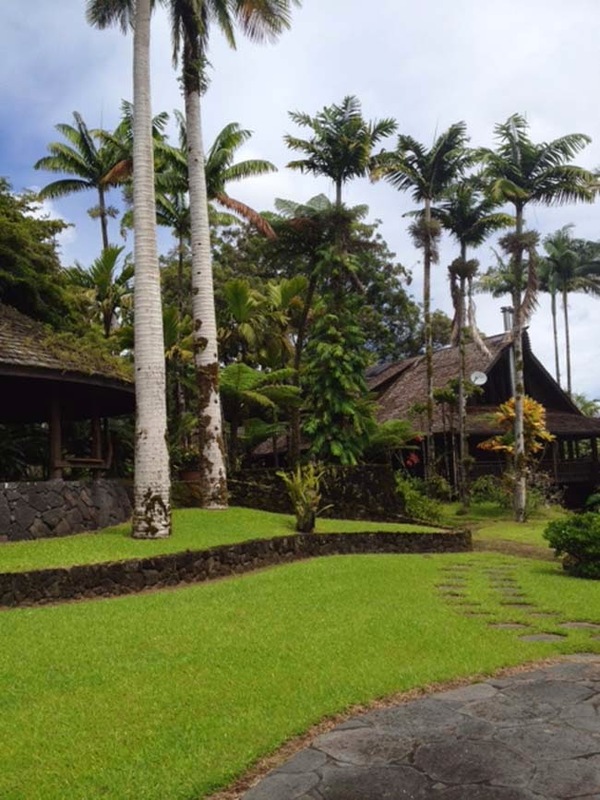 To Hawaii! Yep, we have lost our minds. It was a HUGE move and after 2 1/2 month we finally got our stuff. So, I am back in business and getting ready to finally sew again. We have been doing lots of fun stuff along with the every day things like getting the girls into school and settled. 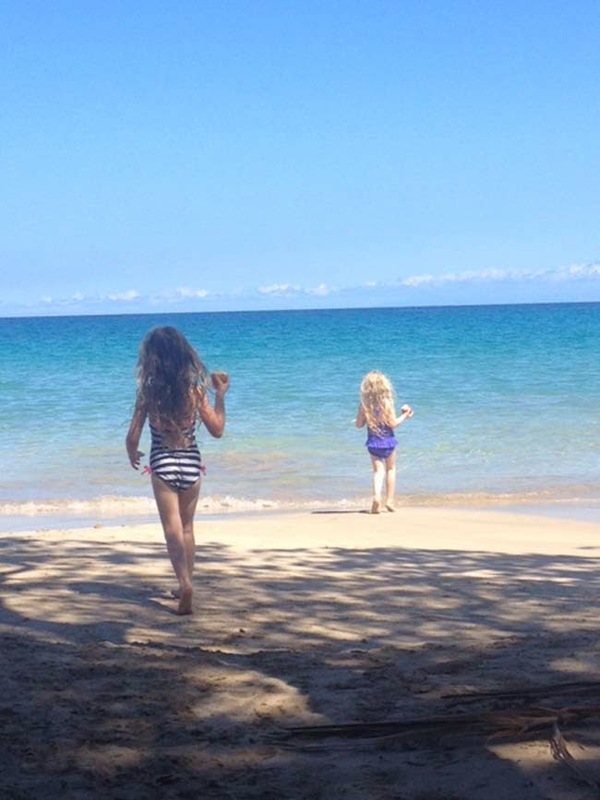 We went to the most amazing beach about a month ago. It was like something out of a movie! We had a shady tree to sit under and the sand was like white powder. We all had a blast! So, in other news, I really messed up when we moved and forgot that all of my pattern pieces for the tutorials on this blog were being hosted on our internet provider's site. When I cancelled our service I also cancelled all of my pattern links. I couldn't fix the links until I had my files, which were on my computer that was on a boat. Huge mess! I have had many emails asking for the patterns and I have had to tell all of you that I would post when they were fixed and I am happy to tell you all that they are now up and working again! Woo hoo!!! Thanks so much for all of your patience! 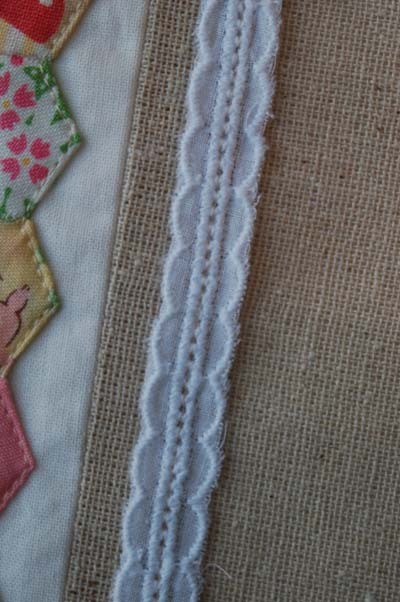 There is something so lovely and slow about hand sewing! 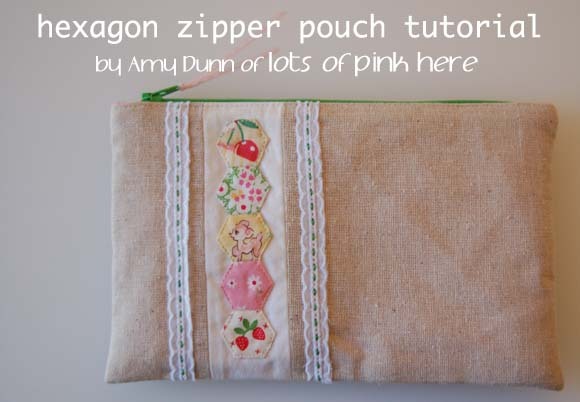 I want to share a tutorial for a fun hexagon zipper pouch with all of you today. 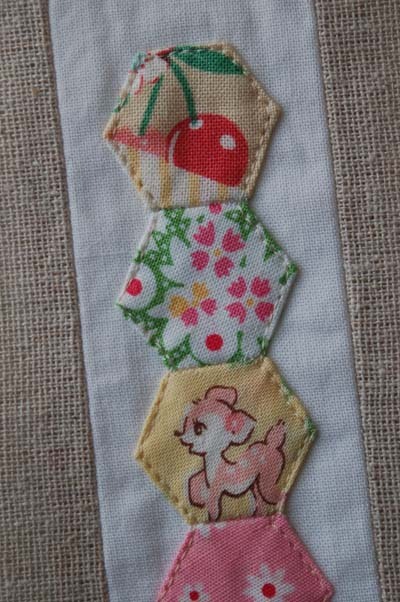 I know the whole project isn't hand sewn but the hexagons are and I think they are a really fun little quick hand sewing project. Let's get started! osnaburgh: 2 1/2" x 6"
white fabric: 2" x 6"
lining fabric: 2 pieces - 9" x 6"
The first thing we are going to do is to make our hexagons. There are many ways to do this but I love this tutorial by Lori Holt of A Bee in my Bonnet. 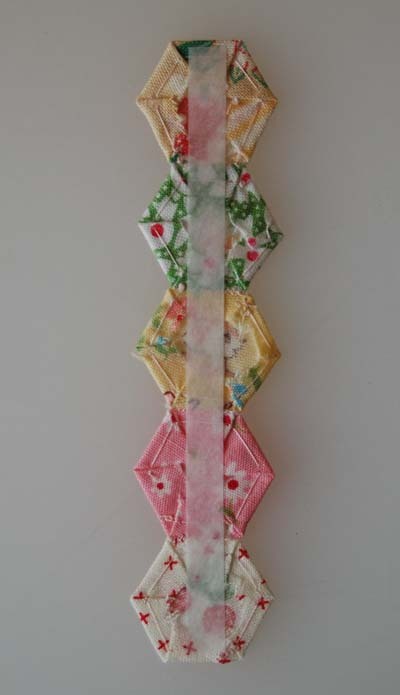 So check out Lori's way or use your favorite way to get your hexies sewn. 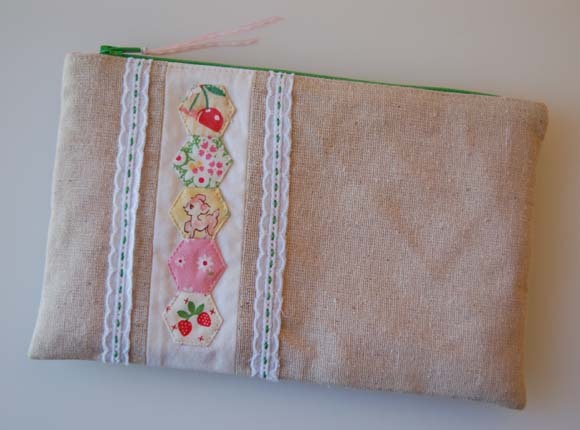 We will need 5 - 1/2" hexies for this pouch. Now we will sew them together. 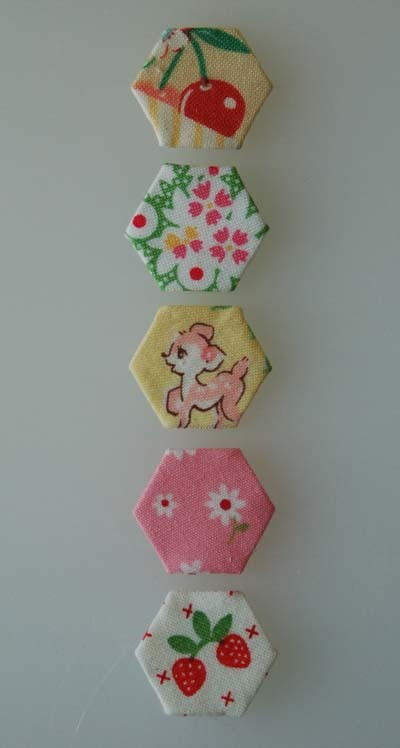 Arrange your hexies in a vertical line making sure to place them in the order you want them to be on your finished pouch. Now take the first two and line up the bottom edge of the first hexagon with the top edge of your second hexagon. Match up the edges as neatly as possible. I use a clover clip to hold mine in place but a paper clip will work well too. Knot your thread and get ready to hand sew them together. Now take a look at the picture below! 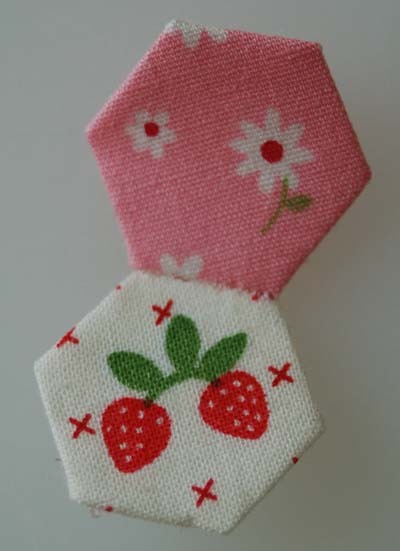 You are just going to pick up a VERY small amount of each fabric from the two hexies. You do not want to sew through the papers, it will make it a lot harder to remove them at the end. 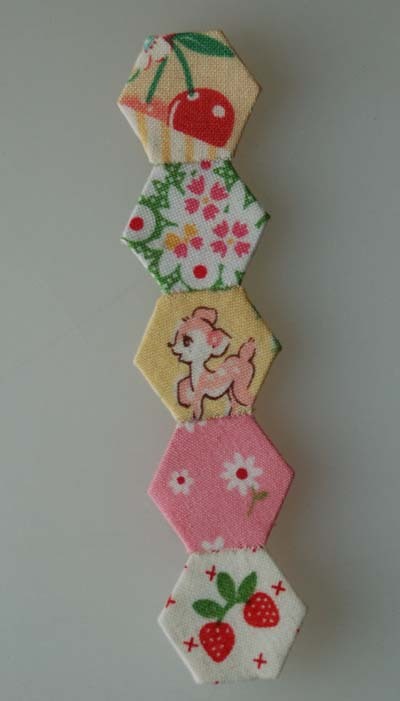 We are going to continue whip stitching the hexies together (picking up as little fabric as possible, as shown above) until you reach the next point. Then tie off your stitches and clip your thread. You will then have two hexagons sewn together. If you have used small stitches you will hardly be able to see them. I like to press them flat each time I sew two together. It makes them easier to handle. 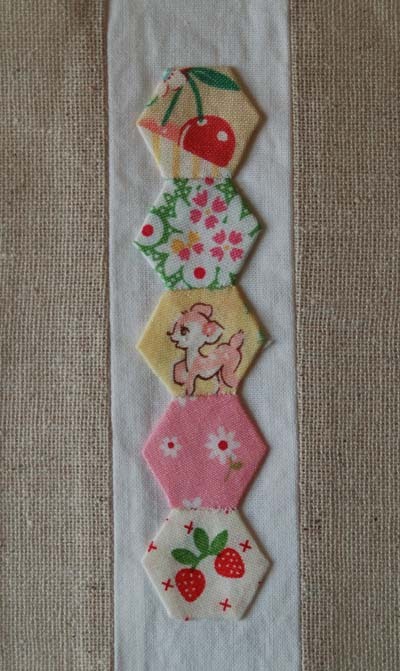 Now, repeat this step until you have all 5 of your hexies sewn together. Remove the papers from all of your hexagons! You could also use a solid and it would be really cute! 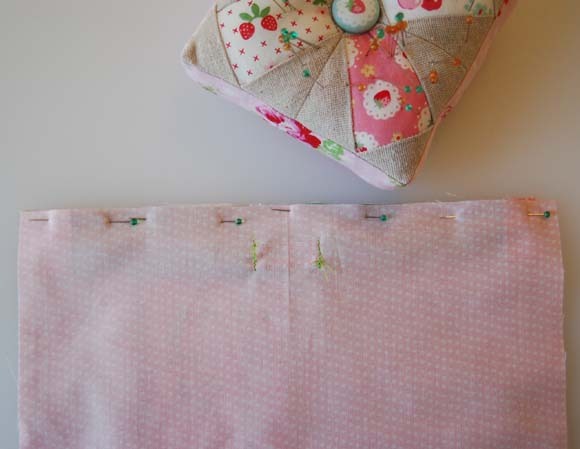 Sew together your 3 pieces (matching up the 6" long sides) using a 1/4" seam allowance. Press your seams open. You will then have a piece that looks like this. Mine is much longer than yours will be, I always use scraps and then cut it down to size. 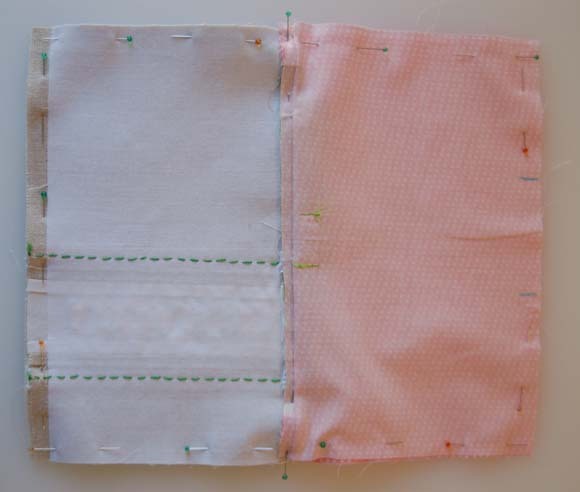 Your piece should measure approximately 9" x 6"when sewn. 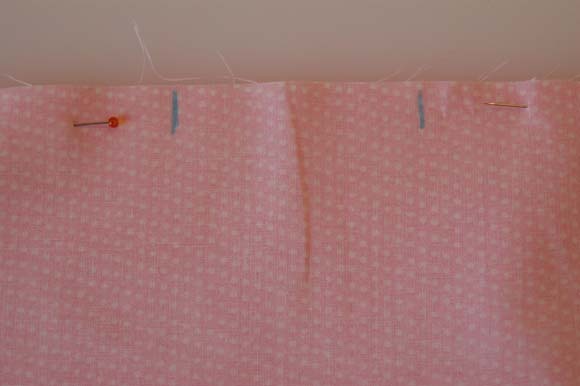 Position your hexies in the middle of the white section of your front panel and afix them with the steam a seam strip. I like to interface the exterior pieces at this point. Interfacing is not necessary but I always like my pouches to be a little more sturdy and a little less floppy, so I interface. Fuse the interfacing (cut the pieces just slightly smaller than your exterior pieces) to the front and back exterior pieces. Topstitch all around the exterior of your hexies using a very small seam allowance. Make sure you stop with your needle down each time you need to pivot your needle. We will now add the trim. Cut two pieces that are slightly longer than the hight of your exterior panel. I affix the trim the same way I did with the hexagons. You can just pin it down if you prefer but I find that it shifts less if I use the steam a seam. I sew down each side of the trim so that it is securely attached. Since I used the eyelet trim, I thought it would be cute to embellish the middle with some stitches using embroidery thread. 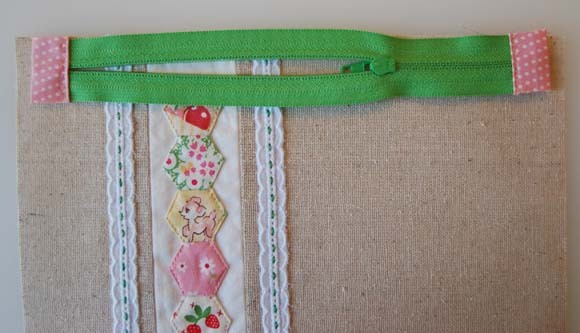 If your trim doesn't allow for something like this then you can always add stitches to the osnaburgh or to the white fabric. I stitched directly on the osnaburgh in the picture below. Trim any ribbon that is hanging over the edge so that your exterior piece is nice and neat. 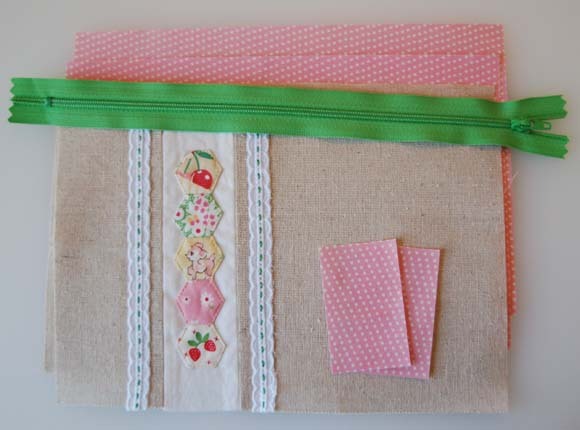 You will now have all of your pieces ready so that we can start sewing together your pouch! You should have something that looks like this. 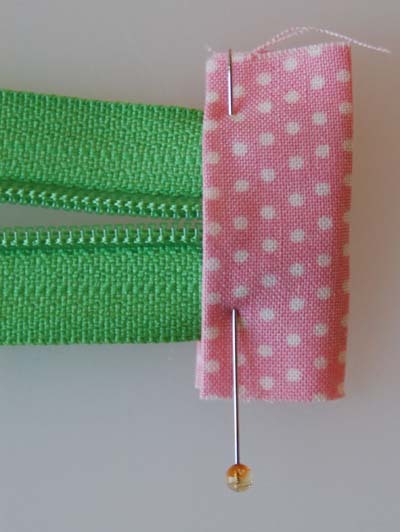 To make your zipper ends, take your two pieces and iron them in half along the width (short side). Open it up and fold each end in up toward the crease and press. Fold it all back up and press again. You will end up with two zipper ends that look like this. Take your zipper and get the end with the zipper pull on it. It will have 2 small metal stops. Trim that end of the zipper just a tad so that when you sandwich the zipper end over the zipper those tiny metal parts just peek out. You just want to make sure you don't hit them with your needle when you sew on the zipper end. Pin on the zipper end to hold it in place. You are going to now trim the other side of the zipper. You want the zipper, with the ends attached, to measure exactly 8 1/2" from one zipper end to the other. Trim the zipper and pin on your other zipper end. Stitch the zipper ends very close to the edge and then trim them to the same width as the zipper. Please see the picture below to show how this will look! Now we are ready to assemble our pouch!!! Take your fussy cut exterior piece and place it right side up on your work surface. Center your zipper, wrong side up, on your exterior piece with the zipper pull on the left. I always open mine but you don't have to, just one of my quirky things. :) Align the raw edge of the exterior piece with the long edge of the zipper. Now take one of your lining pieces and place it wrong side up on top of your zipper lining up the raw edges. Pin in place. Put the zipper foot on your machine. You will, obviously, not be able to see the zipper but you will be able to feel it through the lining. 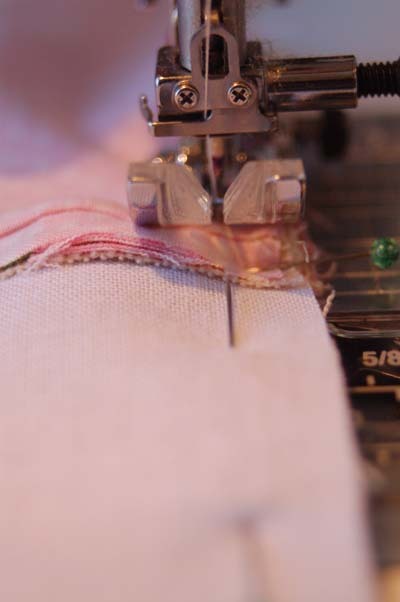 You want to sew as close to the zipper teeth as possible without hitting them. You will need to stop, with your needle down, and lift your presser foot so that you can wiggle the zipper pull out of the way when you get to it. 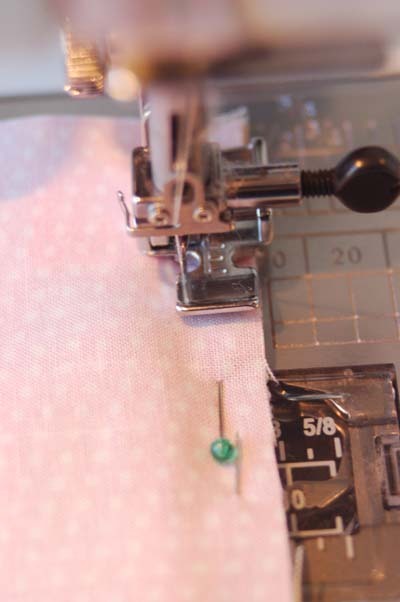 Then continue sewing, making sure that you backstitch at the beginning and end. Flip the lining over so that now the wrongs sides of the exterior and lining are touching and the other side of the zipper is exposed. We are now going to repeat the same process with the other exterior and lining pieces. Lay the other exterior piece face up on your work surface then your zipper wrong side up, this time with the zipper pull on the right, and then your lining piece wrong side up. Pay particular attention that all of your edges are lined up neatly. Pin well. Sew along the zipper just as you did before making sure you stop with the needle down to move the zipper pull out of the way. Flip the pieces so that the wrong sides are together and press well. You will now have something that looks like this. 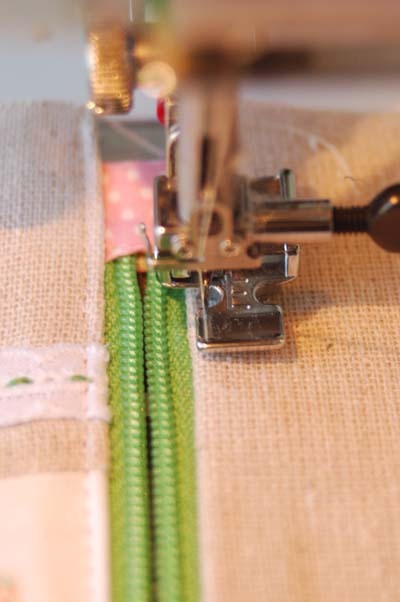 I like to leave my zipper foot on to topstitch on either side of the zipper. I use the edge of my zipper foot as a guide, it is also easier to get by the zipper pull, but you could also put your all purpose foot back on at this point if you like. Topstitch on either side of the zipper stopping with the needle down and lifting up your presser foot to move your zipper pull out of the way. Almost finished! We are going to sew the pouch together now. First, OPEN UP YOUR ZIPPER!!!! It is such a pain if you forget! :) If you didn't change back to your all purpose foot in the last step, do so now. Flip the layers so that the two exterior pieces are right sides together and the two lining pieces are right sides together. I always start pinning at the zipper ends and then match all of the sides and corners. When you pin by the zipper ends push the zipper end toward the lining. Pin around the whole pouch well. 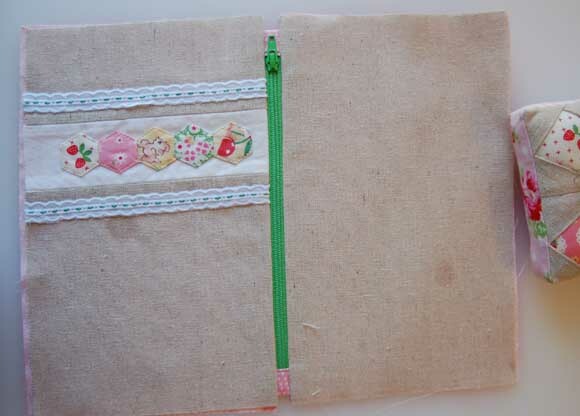 Sew all around the pouch starting and stopping at the marks you made above. To make your zipper ends look as nice as possible, you want to sew as close to them as possible WITHOUT actually catching them. In the picture below you can see what I mean. 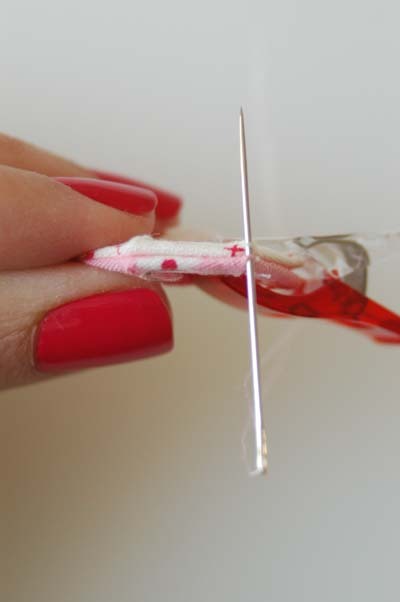 You want your needle to go right next to that folded zipper end but not catch it. If you look closely in the picture below you can see the folded part of the zipper end just to the left of where my needle goes into the fabric. 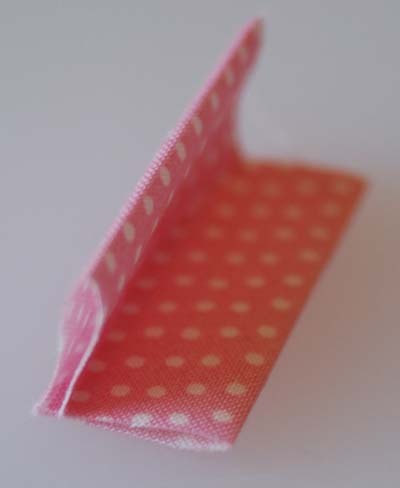 Clip your corners and turn your pouch right side out through the opening in your lining. 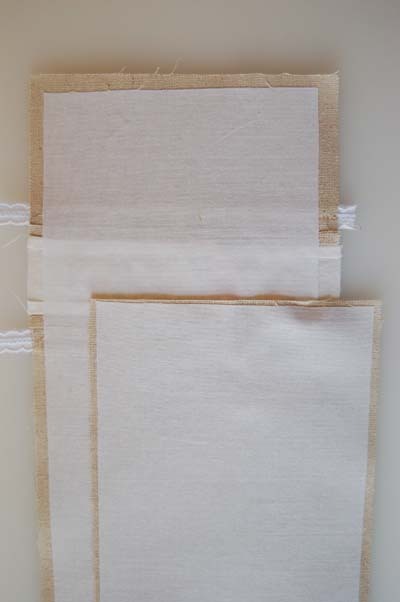 Gently push out your corners and then stitch the opening in the lining closed. As always, please let me know if anything is unclear or you notice an error!! And PLEASE add your pouches to the flickr group!!! Just wanted to let you all know that I received 10 bolts of the adorable new line from Sarah Jane! Let's Pretend is an adorable line that highlights our little one's fabulous ability to use their imagination! Here are a few of the prints. They would make a really cute travel game!!! Thank you all so very much for your amazingly kind comments on my pattern and little game! I am really so very flattered! Congrats ladies!!! I am sending you both emails right now!! If anyone is interested in the pattern it is available in my shop! Thanks again so very much!!! 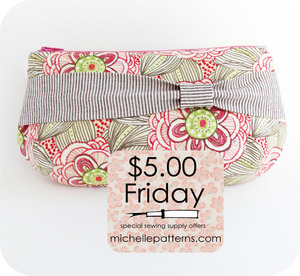 Every Friday Michelle's patterns offers a fantastic deal of some sort for only $5! This week it is an AMAZING deal! She is retiring 8 of some of her best patterns and so for this weekend only you can get all 8 for only $5! 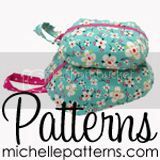 I've made almost all of Michelle's patterns and they are so fabulous! Here are a few examples of goodies that I have made using some of the patterns that you get with the $5 bundle. So jump on over and grab this great deal! Remember, they will only be on sale this weekend and then they will be gone forever!